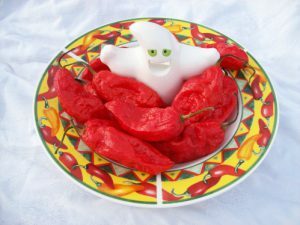 Yellow Reaper-(Capsicum chinense)-The Yellow Reaper pepper is the Yellow variant of the World famous Carolina Reaper. 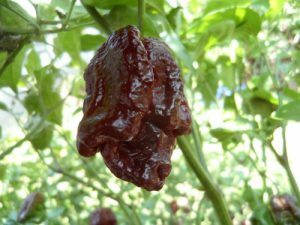 The Carolina Reaper is one of the hottest peppers in the world. 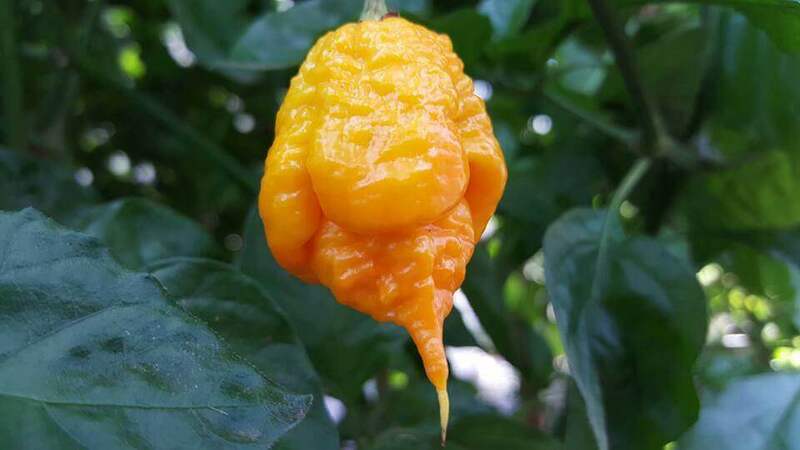 The Yellow Reaper ripens from green to Yellow and gets kind of orange Yellow if left to ripen longer. They have a citrus fruity flavor tone and the heat level is much milder than the Red or Chocolate Reaper. 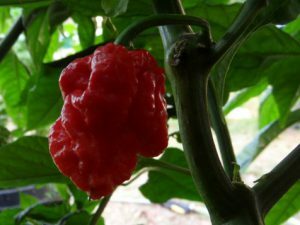 Some say these have the best taste out of all of the Reaper color types. My suggestion is grow all and decide for yourself! 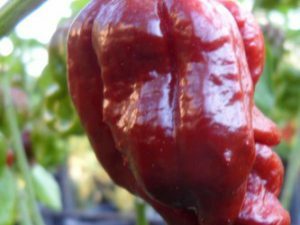 The Yellow Reaper chile plants grow over 4 feet tall and are good producers.